Have you ever been told to bundle up to avoid catching pneumonia? Or told a friend or family member not to walk outside with wet hair because he or she could get it? It might surprise you to find out that neither cold weather nor wet hair can cause you to catch pneumonia. In fact, pneumonia in itself isn’t contagious, so you can’t really “catch” it at all. If you are wondering how do you get pneumonia, or have any other questions about this condition, FastMed can help. We are open 365 days a year to provide treatment for non-life-threatening illness and injuries, as well as ready to answer all of your health related questions. How do you get pneumonia?! 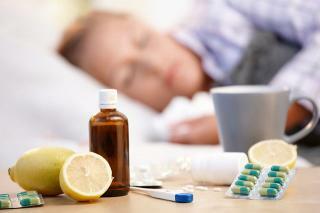 You could even suffer from pneumonia as a complication of a viral illness, such as chickenpox. If you are still wondering how do you get pneumonia, or just want to learn more, check out FastMed’s online health resources center.